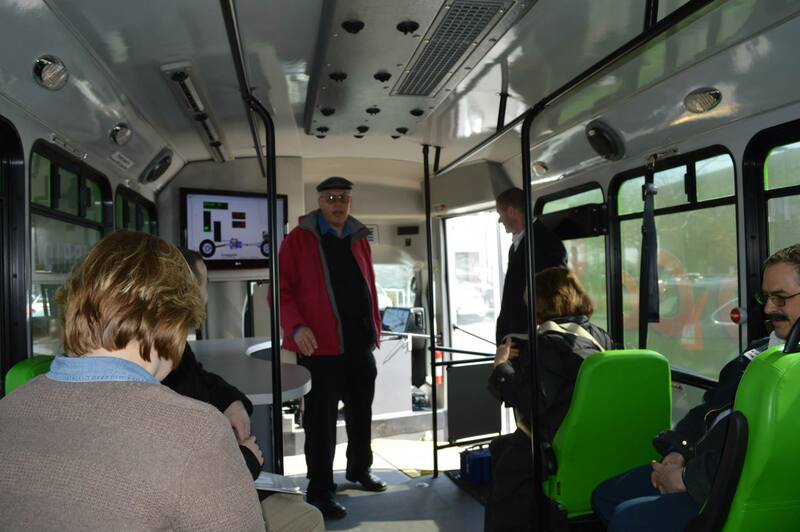 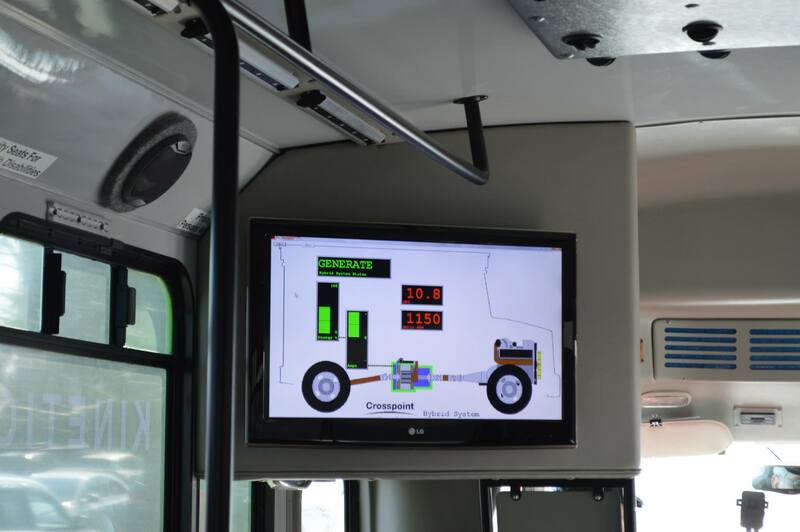 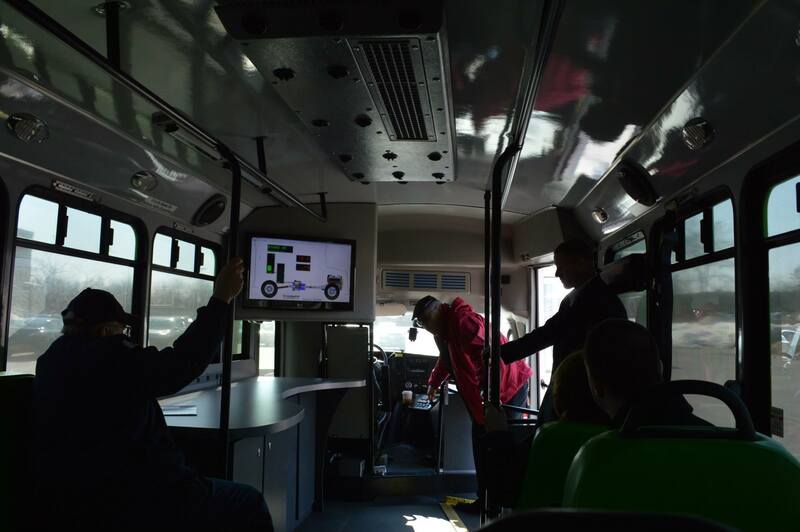 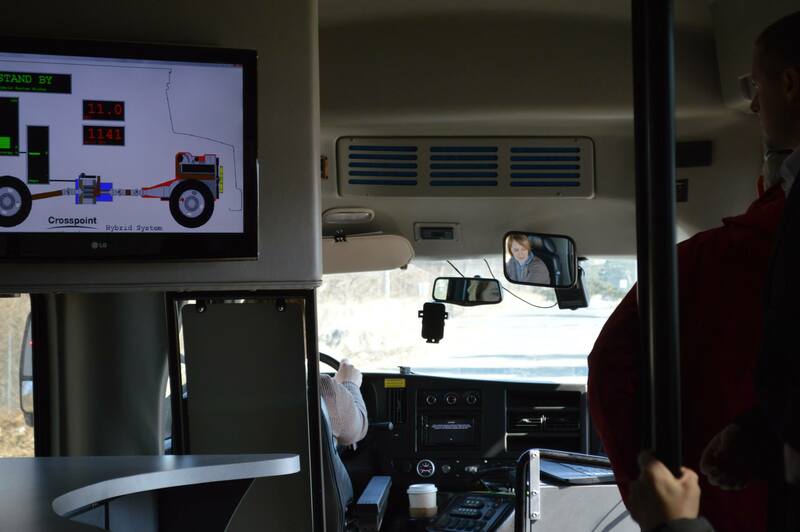 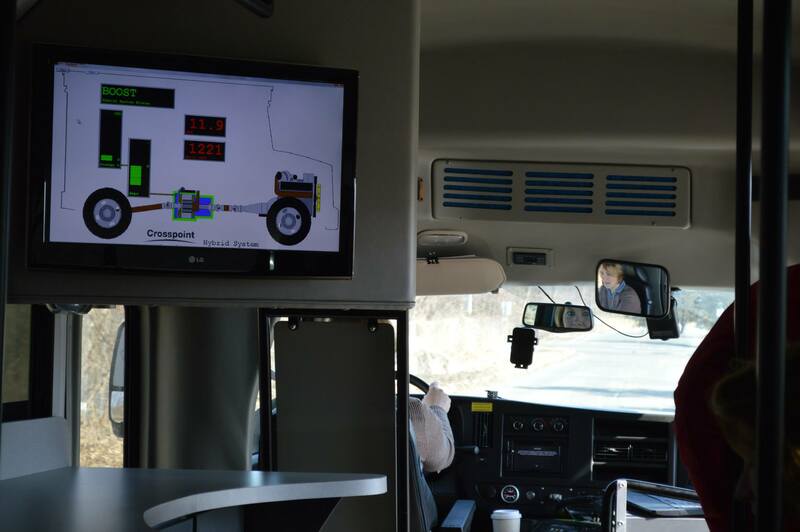 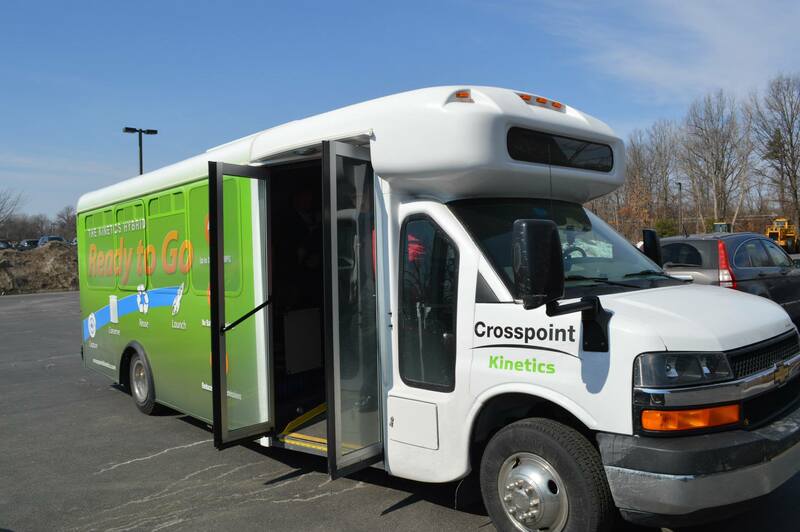 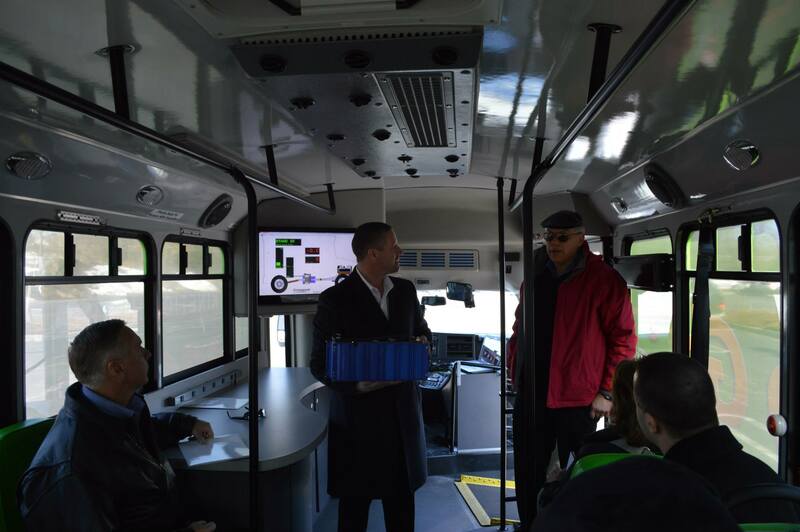 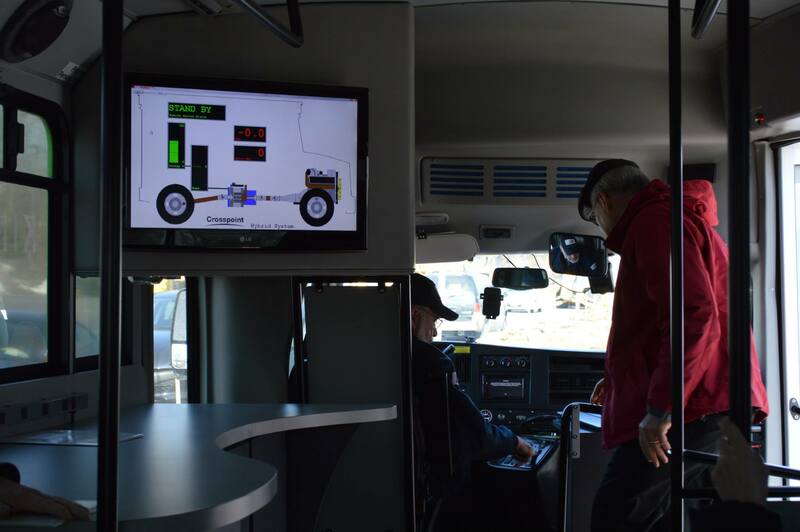 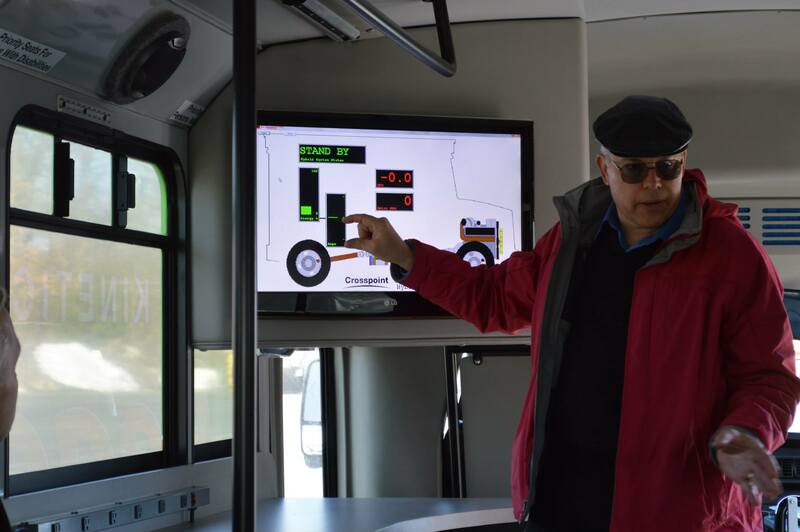 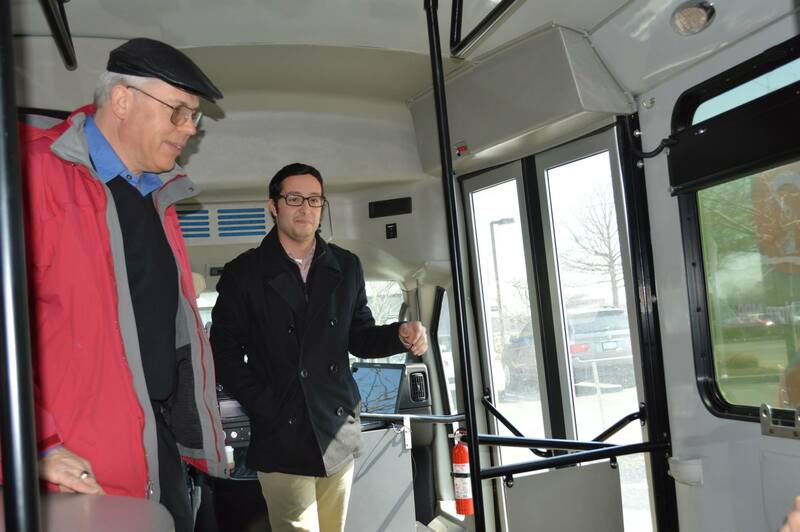 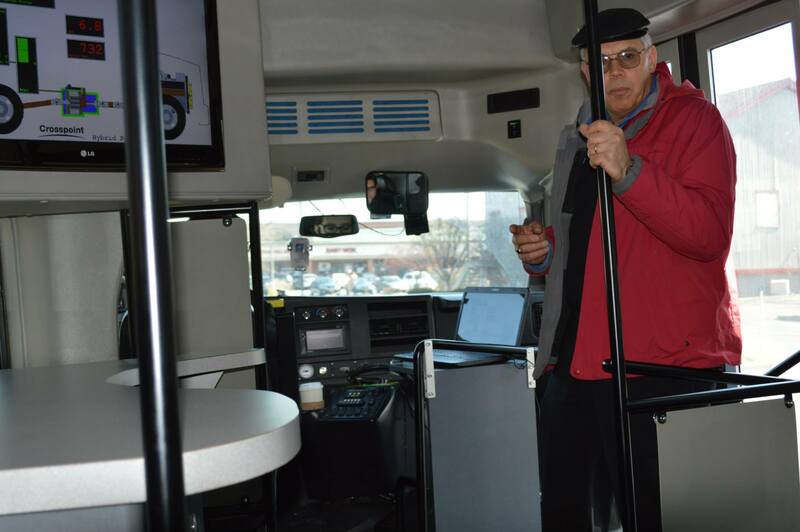 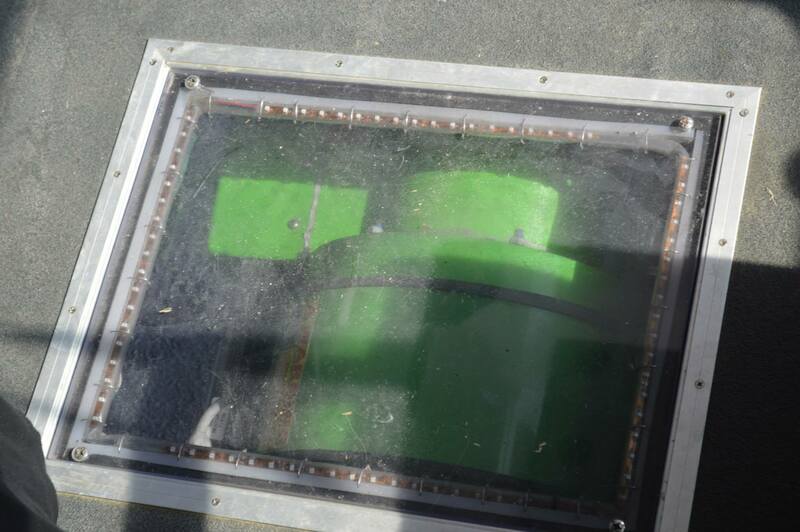 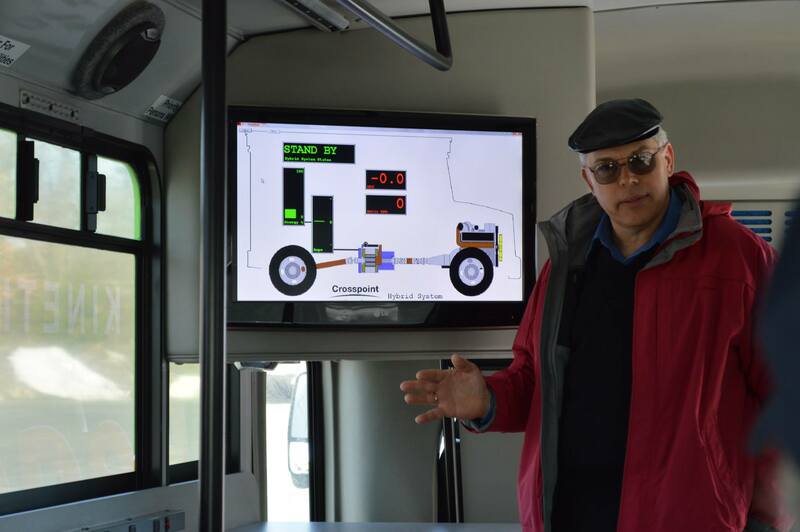 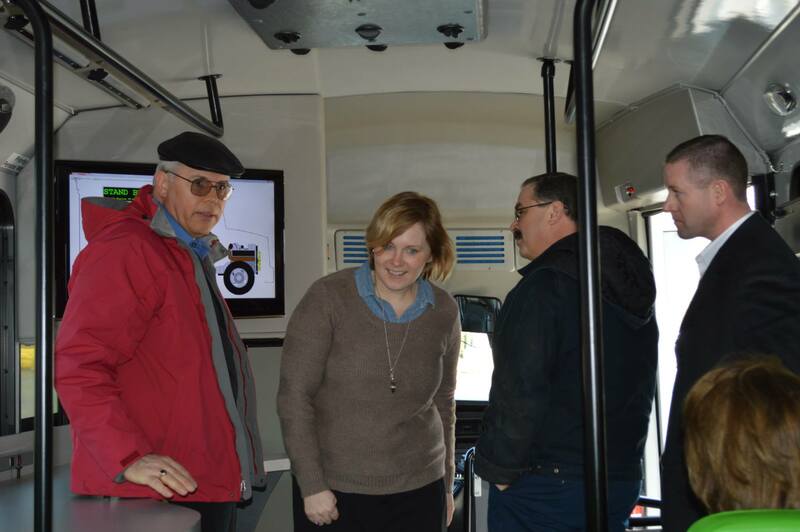 Last month, on March 27th, Capital District Clean Communities was visited by Crosspoint Kinetics, an Indiana-based battery-free hybrid electric bus company. 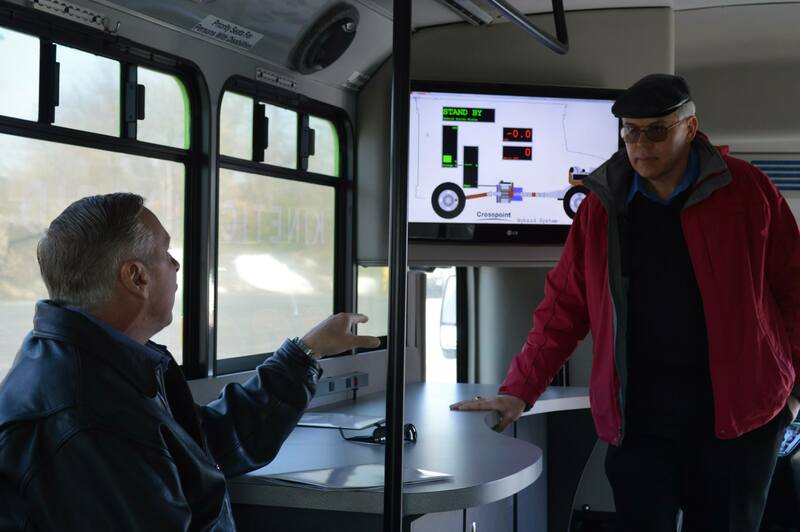 Larry Zepp, Chief Technologist, and Steve Cooney, Vice President of Sales, spent the morning explaining their hybrid technology and demonstrating how their vehicle works. 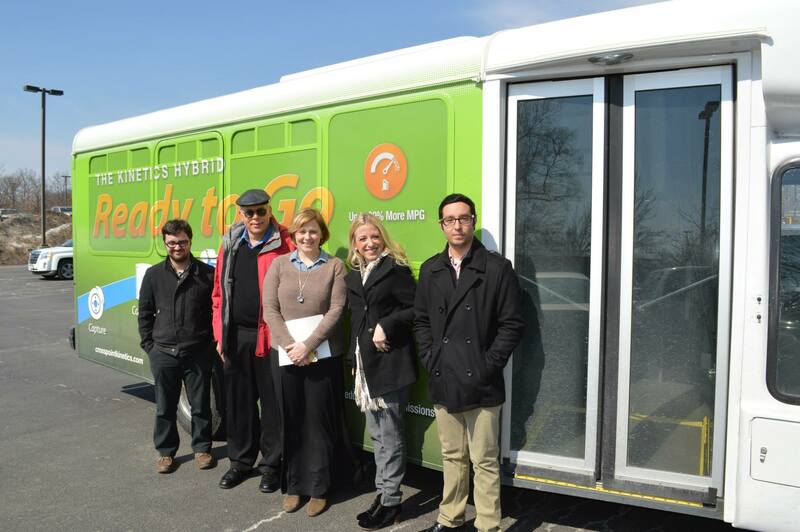 All in attendance test-drove the vehicle too! 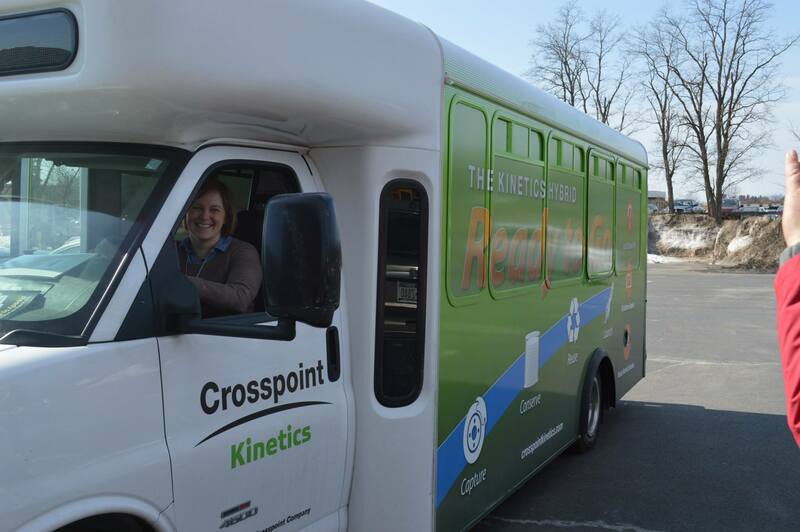 For more information about Crosspoint Kinetic’s vehicles please download their brochure.